We have finally received restocks of the fantastic Capcom Design Works Book, an absolutely MIND NUMBINGLY GORGEOUS book - around 240 pages, almost entirely filled with the most fantastic Capcom artwork. We always fear that after we sell out of these books, we'll never be able to get them again. So far, we've always managed to find more, but the world will be a worse place if these are no longer available! 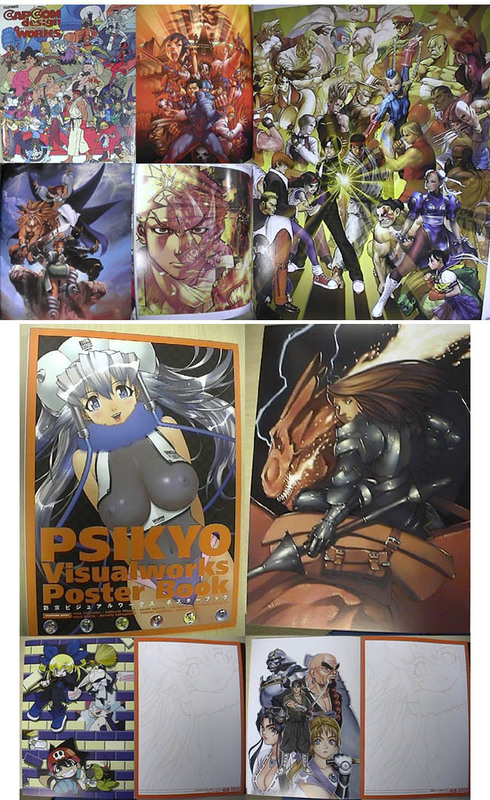 We have also received a small number of the very rare Psikyo VisualWorks Poster Book. THESE ITEMS CAN BE FOUND IN THE MERCHANDISE SECTION.